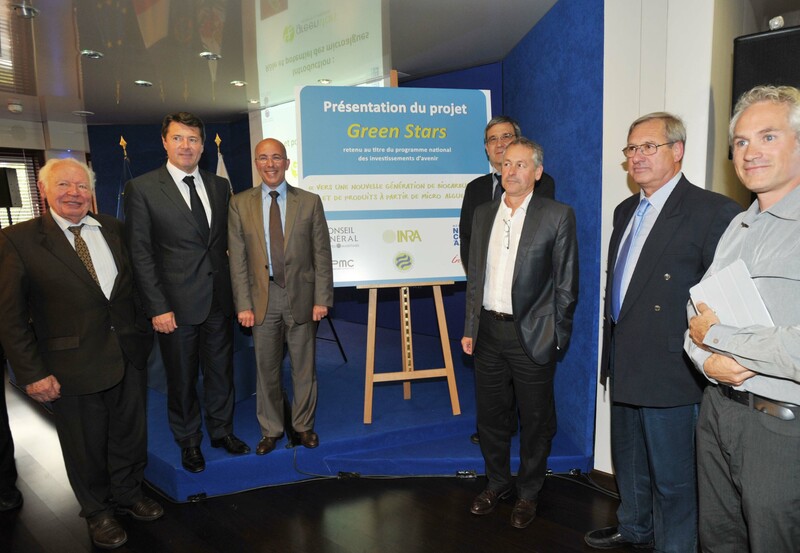 Monday 21st May 2012, Eric Ciotti, Chairman of the Alpes-Maritimes Départemental Council, and Christian Estrosi, Mayor of Nice and Chairman of the Nice Côte d'Azur Metropolitan Area, presented the Green Stars project: "Towards a New Generation of Biofuels and Products with Micro-Algae", the presentation was attended by Antoine Sciandra Director of the Villefranche-sur-Mer Oceanography Laboratory, Gérard Giraudon Director of the Inria Sophia Antipolis-Mediterranean Centre and Olivier Bernard Director of Research Inria. Focused on developing microalgae, this project studies the possibility of producing third generation biofuels from industrial CO2, organic waste and solar energy. 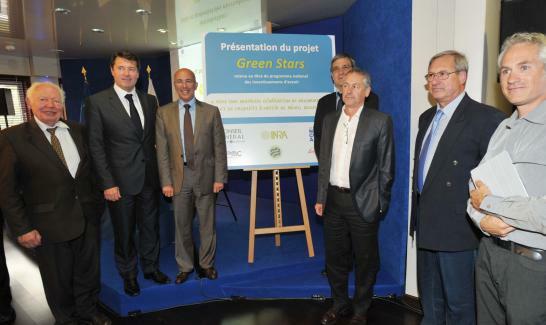 Led by INRA, developed in our region by the Inria Sophia Antipolis-Mediterranean Centre and the Villefranche-sur-Mer Oceanography Laboratory, with the financial backing of the Alpes-Maritimes General Council and the Métropole Nice Côte d’Azur, GreenStars has been selected under the national future investments programme. Experiments should initially take place within a laboratory, with the Eco Valley eventually expected to accommodate the tanks for experimental cultivation.